Wash well and remove the skin from Yam. Slice it into 3 to 4 inch thin square pieces. Put it into boiling water and allow to cook for few minutes. When it is 3/4th cooked, immediately remove from water and place it in a plate. 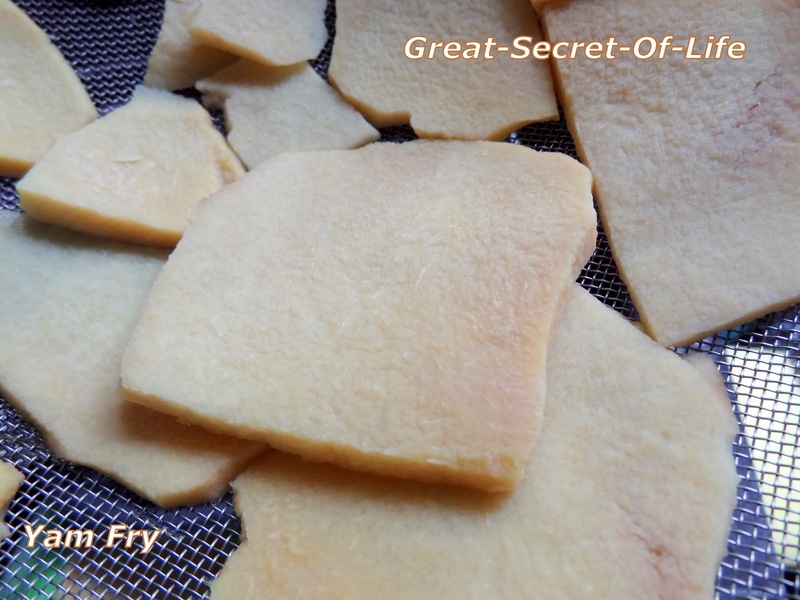 Make sure it should not be overcooked, otherwise when you fry, it will break and become mushy. 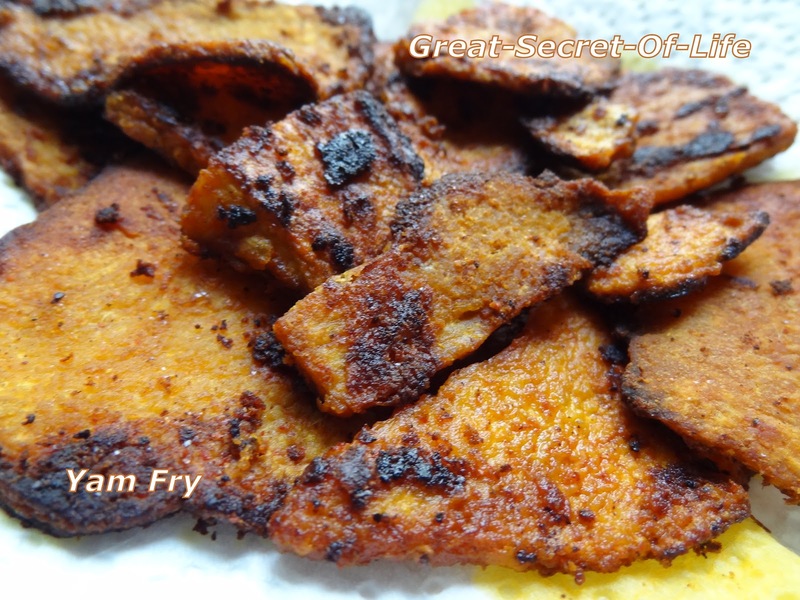 In a plate put red chilli powder, turmeric powder, asafotida, salt and tamarind juice. Mix well and make a paste if necessary adding little water. To this gently place the cooked yam pieces and coat it with the paste. 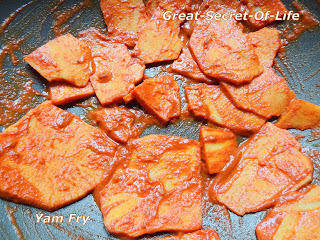 Heat a Tawa (preferably a thick “Dosai Kal”) and grease it with little oil. Take the masala coated yam pieces and arrange it on the tawa in single layer. Pour little oil around the pieces and cook on medium flame for few seconds. Turn each piece separately and cook other side also. Then again turn it and cook. Repeat this till both the sides are fried well and it become golden brown. Goes well with Sambar/Rasam Sadam.